I admit, I enjoy That American Idol Program. I watch it Every Week. In fact, every Tuesday Afternoon, I commit some time to Creating My Own Homemade Posters to root My Favorite Contestants on. I understand they can't see the signs when I hold them up to The TV In My Living Room. But, it is The Thought That Counts. Don't forget That. 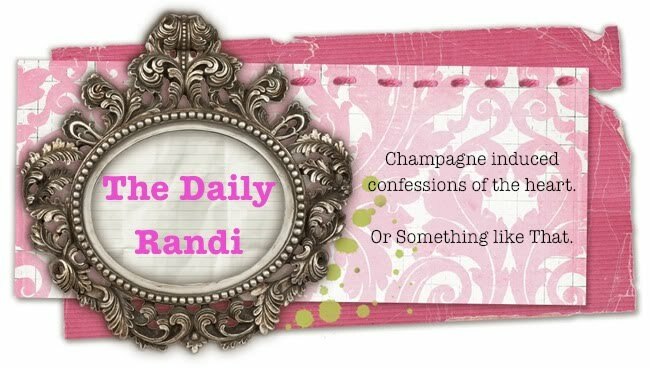 My Question is This, The Daily Randi: I predicted to all my family and friends that Paris would be Voted Off this week and I was Correct! Does that make me Some Sort of Psychic? I Predict You Will Say Yes. No. You are Not Psychic. I don't watch American Idol. But, My Tivo does. And My Tivo and I are like This. As a result, I shall Agree -- Paris needed to Go Home. She had gotten Way Too Cocky. And taking on Mary J Blige was A Huge Song-Choice Risk. But, more importantly, her Hair Do was Always Changing and that drove me Batty! I could never keep it Straight – does she have Long Hair? Or Short Hair? Curly or Straight? It was So Confusing! I like My Entertainers to keep One Hair-Do for at least A Year. Only after that time, are they permitted to make Any Changes. Of course, they can change their outfits Seventeen Times A Night if they wish. But, The Hair Has Got To Stay. Otherwise, I lose track. Me and my TiVo are like that. And by that I mean I don't have one. Take that, TiVo!